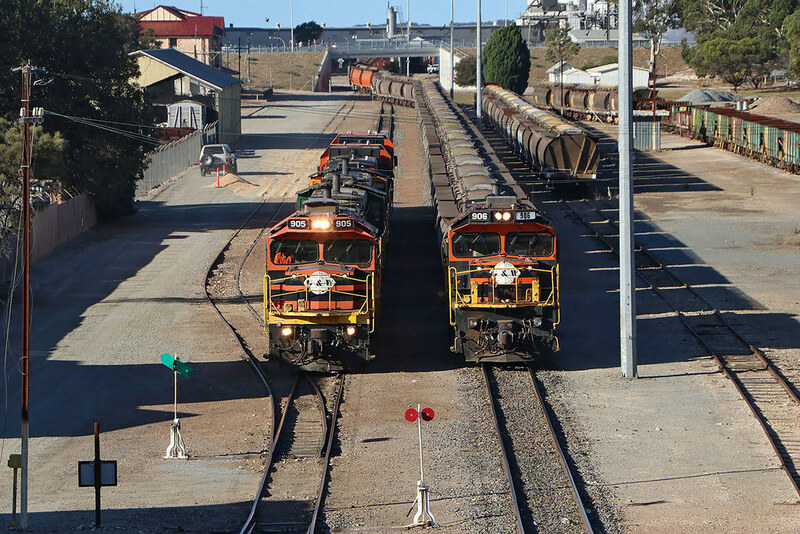 Plenty of activity in Port Lincoln yard on the evening of 26 March 2019. Within 20 minutes of arrival of a loaded grain from Cummins, the train locomotives have cut off form their train and are already on their way back to 'loco' for servicing. Meanwhile yard shunter 906 is already pushing back the train into the Viterra silo area to be unloaded. The crews have these movements down to a fine art, but unfortunately all this will come to an end when all grain operations are transferred to road at the end of May this year.